We, the children of Lauretta Jane McKay, formerly of Windsor Street, Sydney, are deeply saddened to announce the sudden passing of our beloved mother. Mom passed away peacefully on Oct. 7, 2011, in Markham Stouffville Hospital. 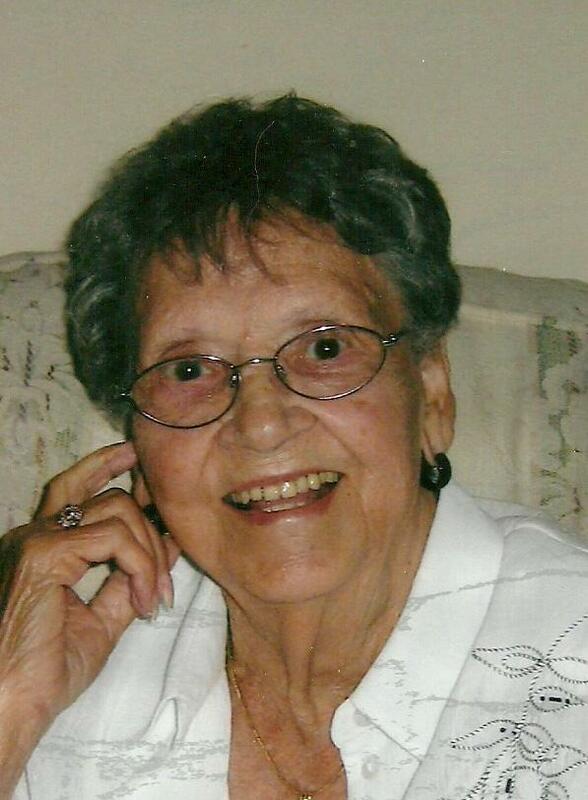 She was born Jan. 30, 1917, in Sydney Mines, the daughter of the late Anthony and Nora Nerie. For the last several years, mom has resided with her daughter, Joan and son-in-law, Lloyd in Markham, Ont. She was a member of First United Church. An original member of the Wednesday Night Ladies Bunco Club and the Friday Night Dance Club. She was an avid knitter, crocheter and reader. Mom was predeceased by her loving husband of 66 years, Howie (2005) and her daughter-in-law, Patricia. She is the last surviving member of her immediate family, predeceased by six sisters and three brothers. Mom is survived by her children, Nora (Matt) Keefe, Caribou Marsh, N.S., John (Helen), Naples, Florida, Richard (Ginny), Naples, Florida, Joan (Lloyd) Black, Markham, Ont., Brian (Susan), Rankin Inlet, NU, and Paula (Lawrence) MacKeigan, Albert Bridge. Lauretta was a proud Nannie of 11, Glenn (Sandra) Keefe, Tantallon, N.S., Wanda (Peter) Drohan, Hammonds Plains, N.S., Maureen (Gary) Globe, Timberlea, N.S., Mark (Ramona) McKay, Burlington, Ont., Megan McKay, Ottawa, Ont., Scott (Tracy) Black, Kitchener, Ont., Craig (Amanda) Black, Windsor, Ont., Todd (Toota) McKay, Rankin Inlet, NU, Brandy McKay, Red Deer, Alta., Melyssa MacKeigan, Halifax, and DJ MacKeigan, Albert Bridge. She was also a great-Nannie to 12, Shelby, Matthew and Adam Keefe, Raymond and Gillian Drohan, Gregory Globe, Hunter and Racer McKay, Liam Black, Alyson and Kortni McKay and Keigan McKay. She is also survived by many nieces and nephews and last, but not least, her loving and devoted dog, Spencer. Cremation has taken place. Visitation will be at Sydney Memorial Chapel on Thursday, Nov. 3, 2011, from 12:30 to 1:30 p.m., followed by a service at 1:30 p.m. A private family interment will be at Forest Haven Memorial Gardens, Sydney. In lieu of flowers, donations to the Heart and Stroke Foundation or a charity of your choice would be appreciated. Condolences may be sent to the family at www.sydneymemorialchapel.ca or e-mailed to sydneymemorialchapel@ns.sympatico.ca.